Never be out of business cards. One click access to your digital card. 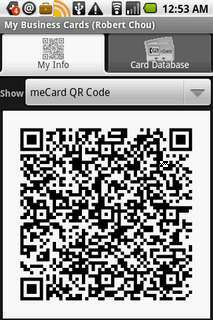 Show QR Code, share and print vCard to card database.